Set in a futuristic world, Action Ops: Snow and Sable are a crime-fighting duo who roam the streets and keep civilian life in order. 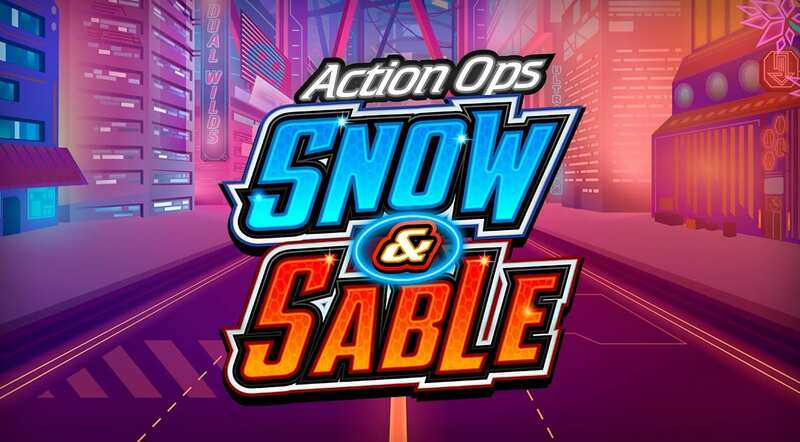 Powered by Microgaming, this slot is set in the city of Aurora and perfectly merges comic book animations with real-life situations to form two heroic characters in Snow and Sable. This 5-reel slot offers 10 pay-lines and a whole range of in-game features to boost your bankroll. The Free Spins Feature, Wild Reels, Wilds and Mixed Wilds will completely transform your winning combinations in comparison to regular wins. Enter the city of Aurora and start spinning today on Wizard. 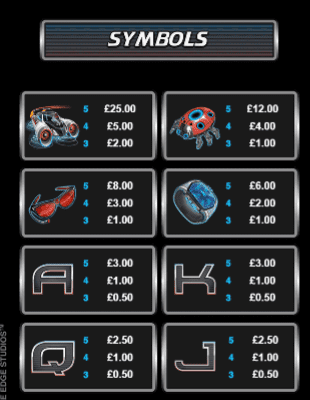 Find our UK slot games here on Wizard. As you enter the futuristic world of Aurora that merges with a comic-book crime-fighting duo, you know you’re in for an adventure. The slick and engaging gameplay is everything that you’d expect from a Microgaming creation. There are so potential from this game, which will be regarded as one of the best slots in the future. 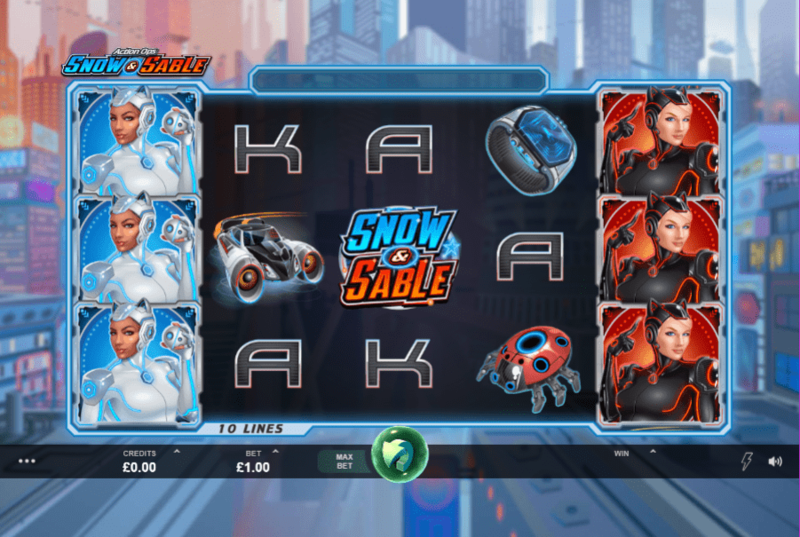 WILDS – During the base game and Free Spins Feature, Snow and Sable appear as WILDS. Snow is WILD and substitutes for all symbols except Sable and the Free Spins SCATTER. Sable is WILD and substitutes for all symbols except Snow and the Free Spins SCATTER. In addition, Snow and Sable can combine to form a mixed WILD. FREE SPINS FEATURE – Hit 3, 4 or 5 Snow and Sable SCATTERS to trigger the Free Spins Feature. You’ll receive, 10, 15 or 20 Free Spins depending on how many SCATTERS you trigger the feature with. During the feature, reels 1 and 5 transform into WILD reels. They will randomly change between Snow and Sable. Hit 2 SCATTERS during the feature to receive an additional 5 Free Spins. Hit 3 SCATTERS during the feature to receive an additional 10 Free Spins.